This Bacon Ranch Pasta Salad is a crowd pleaser! It’s a close copy cat to the store bought box version only better! 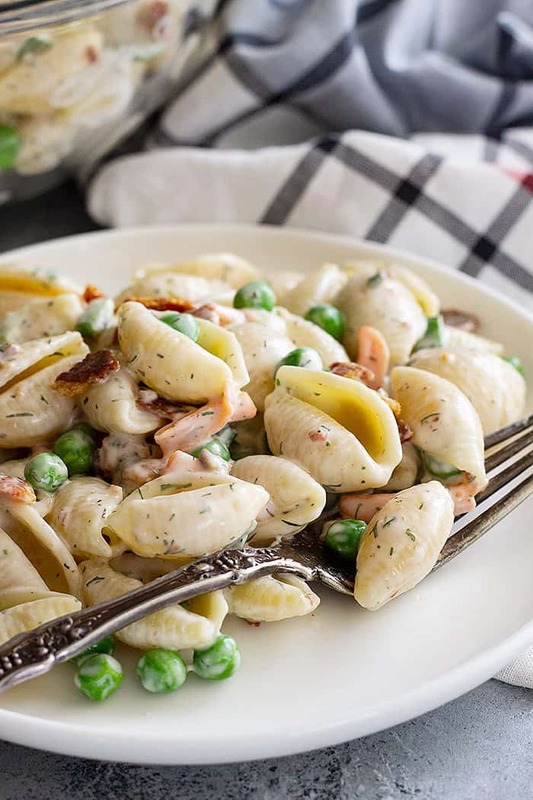 This pasta salad has claimed it’s spot as our family favorite now. 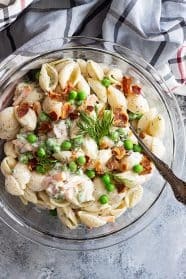 I’ve always liked that bacon ranch pasta box mix but I’ve never cared for it’s long list of unpronounceable ingredients. So, I decided I would try to recreate it as close as I could using real ingredients. And you know what, we actually like it a whole lot better than that box from the store! 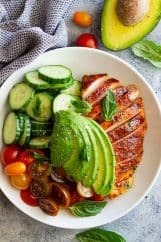 A few other salads you should try are: Grilled Balsamic Chicken Pasta Salad, Tomato, Cucumber, and Avocado Salad, and Creamy Key Lime Fruit Salad. 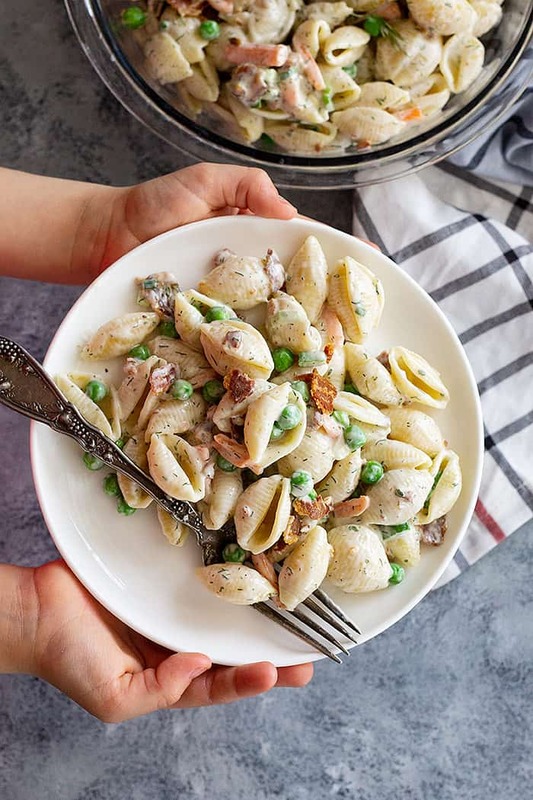 I tinkered with this pasta salad for a while because I wanted to get it as close as possible to the boxed kind (you know that Suddenly Salad brand). 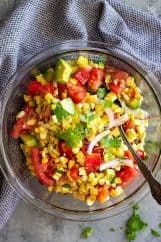 So, it’s a pretty basic pasta salad but don’t let that fool you because it’s full of flavor. 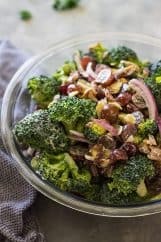 Feel free to add more veggies or even cheese to this salad to bulk it up a little more and make it go further. 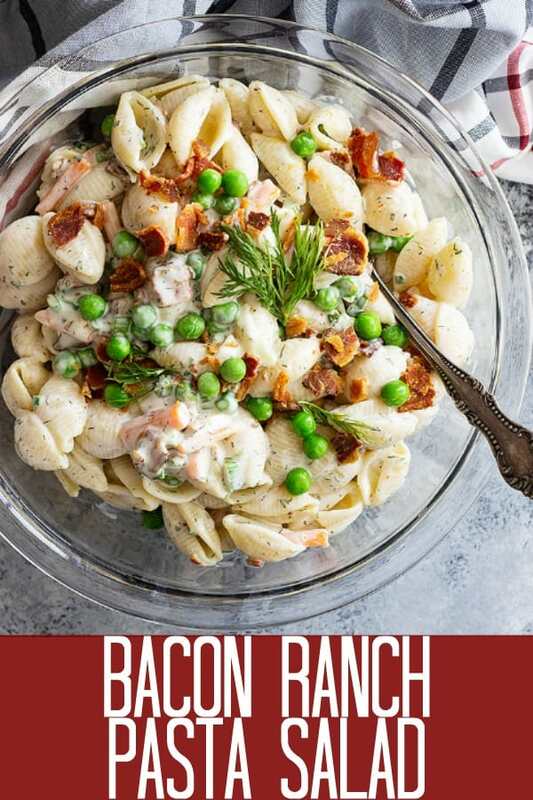 Another thing I really like about this bacon ranch pasta salad is how easy it is to make. It really isn’t that much harder than the store bought version. I like to prepare everything while the pasta is boiling. So, I will fry the bacon and let it cool. While that cools I prep the ranch dressing. Then when the pasta is tender I rinse it really well under cold water until the pasta is cool. 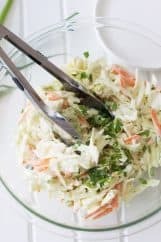 Add it to the bowl with the ranch dressing, toss in the bacon, and gently stir together. See, it doesn’t require that much more work and I promise it will hands down taste 1000x better! Cook the pasta and matchstick carrots according to pasta package directions. Drain well and rinse under cold water until pasta cooled. 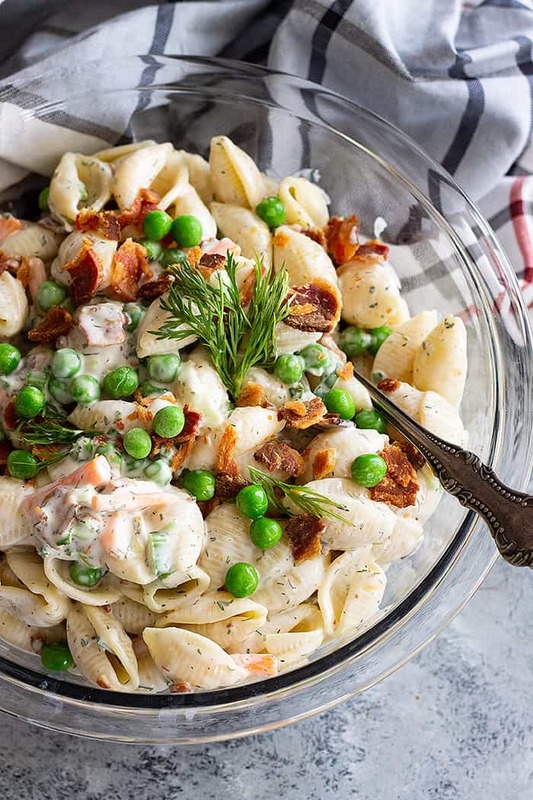 While pasta is cooking: In a large bowl combine ingredients for dressing along with peas, bacon, and green onions. When pasta is ready, add to the bowl and gently stir to combine. Cover and refrigerate until ready to serve. Before serving stir and if it seems a little dry add a splash of milk.